By Sandeep Haripuria , in Home Decor on December 21, 2018 . Are you thinking that it is time to get a lounger or hammock for your garden, terrace or patio? You must take into account some aspects to choose the most appropriate design. Read carefully these tips and soon you will enjoy the siesta lying next to the pool, knowing that you have made the right choice. Everyone knows what the sunbed is in their minds. The one that most appeals to you and for which you sigh. But designers of outdoor furniture always have some useful tips that we should know when choosing the perfect garden deck chair. First of all, keep in mind that it is comfortable. Sit and tumbaos in the models, from store to store, to see if you “hug”. 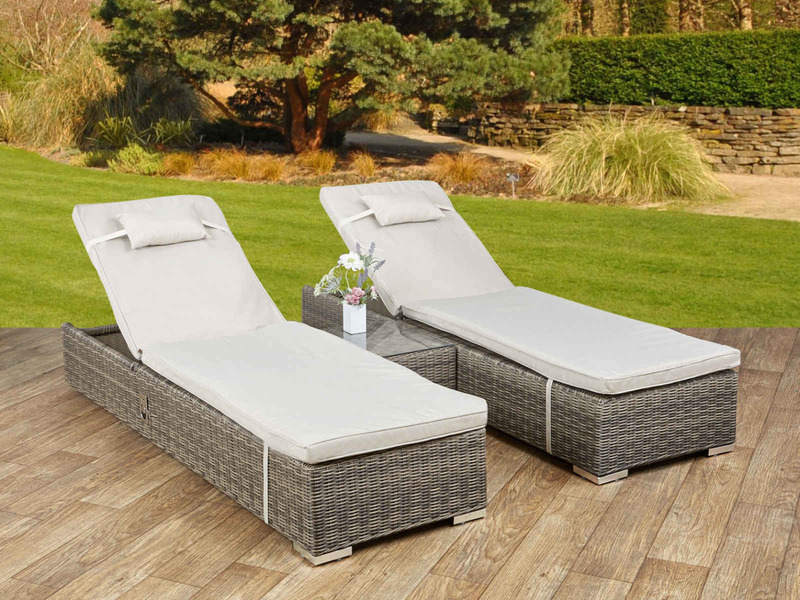 It is recommended that the backrest be adjustable so that you can adjust the position as you read, take a drink or lie in the sun. You have to think about the design, which suits the furniture you already have or simply that it responds to the style you like most traditional, current, minimal … The possibilities of finishes are endless. It is convenient to know the characteristics of each finish – wood, rattan, plastic, natural fiber … – as well as the maintenance conditions required by each one. If the chairs that you like are heavy or of big dimensions, better that it incorporates wheels to facilitate its displacement and orientation. We recommend that you do with mats and cushions, to be placed on the head or lower back. The wooden or fiber chairs with a mat will gain in comfort. The fabrics or synthetic textiles adapt to the body and are more comfortable. Use them directly with a towel. In rigid plastic, also better with a mat that also avoids direct contact between the plastic and the skin, which would give you excessive heat. Sunbeds exist in different materials such as wood, steel, teak, wrought iron, braided resin, synthetic rattan and also in aluminum. The choice of fabrics and colors is unlimited: from gray to fuchsia, through striped fabric in raw and blue. It is necessary that the fabric of the patio chair is resistant to weather aggressions, such as sun rays. It must also withstand wear and tear, humidity and weight. Choose materials such as textile, teak, braided resin and wood, preferably in aluminum structures. These are the most appropriate materials for your pool or your garden. In fact, these are design materials, which have a wide variety of decoration styles and which also have a good quality / price ratio. The wooden deckchair is timeless and is a key piece in your garden. The wood is ideal to create a refined style and preserve the natural side of your exterior. 1 / Clean using a soft brush and soapy water. 2 / Keep a wooden lounger. On the other hand, consider greasing wooden loungers so that they are protected from different weather conditions. 3 / Wintering of the lounger. Out of season, store them in a place protected from moisture, fresh and ventilated. You can also protect them with a polyester cover. . This type of lounger is characterized by having a modern design that will perfectly match the decoration of your exterior. 1 / Clean with a cloth and soapy water, do not use hard materials that could scratch the structure. 2 / If you want to maintain the structure with the original brightness, you can find in the hardware stores or DIY stores special products that allow to wash, renew, preserve and degrease this material. This fabric is designed for outdoor furniture, composed of a very resistant wire covered with PVC. It is very resistant to exposure to water, sun, changes in temperature and humidity. 1 / Wash the chairs and tables with a cloth and soapy water. 2 / There is a maintenance product that allows to maintain, degrease and clean dirt and traces of insects. 3 / For long periods of disuse you can cover your garden set with a cover. Miadomodo: This brand is synonymous with quality, innovation, modernity and sophistication. Their loungers invite relaxation, comfort and well-being, without neglecting the style and design of their products. If you are looking for unique loungers, this brand makes it easy for you. Ultranatura: The furniture for the garden of the brand Ultranatura, among which stand out its deckchairs, are designed with the comfort, well-being and pocket of the buyers in mind, that is why its products are characterized by offering a great value for money. TecTake: This renowned brand is committed to diversity, so it has a really wide catalog of possibilities, from simple loungers to really sophisticated loungers. In TecTake you can find everything you need for your garden.